If you are in a business where you need to obtain the weights of drums, then accuracy is obviously key. If you are simply estimating drum weights then you could be undercharging or overcharging your customers. If you are undercharging them then you will be losing money, and if you’re overcharging them you will lose their business and you risk losing other customers as well. Obtaining accurate weight measurements is simply not a matter of loading your drum onto a drum scale and reading off the figures – there are a few other considerations you need to take. Here is a quick guide – courtesy of the team here at Arlyn Scales – on how to obtain accurate weight measurements when it comes to weighing drums. Are Your Scales Capable of Providing Accurate Measurements? The first aspect you need to consider is the accuracy of your scales, and that really comes down to them being fit for the items you’re attempting to weigh. Some scales lose accuracy under the added strain of constant heavy loads, so you need to know whether you have the correct capacity scales for the loads you are weighing. Drums have varying capacities but the most common, 55-gallon drum weighs 40 pounds when empty, but can weigh well over 500 pounds when full. You need to make sure your drum scale is accurate at these high weights. Are Your Scales Placed in the Correct Area? The place in which you use your scales will have a huge effect on their accuracy. In a busy working environment people tend to get used to aspects of what is going on around them – such as noise, air movement and vibration – but a drum scale will always be affected by these things. Vibrations especially will have a huge bearing on measurement accuracy, as the weighing platform will vibrant when in use. Take care not to position your scales close to areas where vibration is an issue, for example, close to an area with a lot of traffic or heavy machinery. How Accurate Do Your Scales Need to Be? When you’re measuring heavy loads of 100 pounds or even greater, it’s unlikely you are going to want to know how much your load weighs down to the nearest one thousandth of an ounce. When it comes to a drum scale, you are unlikely to use it to measure miniscule amounts of chemicals, or an ounce or two of fluid. The accuracy of your scales comes down to resolution, and the closer the resolution to what you require, the more accurate and useful you are likely to find your scales to be. For example, if you are happy to obtain figures down to the nearest tenth of a pound when it comes to weighing drums, it’s unlikely you are going to want scales that can measure down to a tenth of an ounce. How Much Use Are Your Scales Going to Receive? Spending all day weighing drums is quite a task for most drum scales, so if this describes your operation, then you are going to need a very resilient set of scales. It is no good relying upon a pair of scales that are supremely accurate the moment they are placed into operation, but lose accuracy as the day wears on, and then at the end of the week they have to be completely recalibrated. A good set of resilient industrial drum scales should be the kind that can be relied upon for years, not just days. If you work in a hectic facility, then bear that in mind when it comes to choosing the correct type of drum scale that works for you. Have You Purchased Your Drum Scale From the Best in the Business? 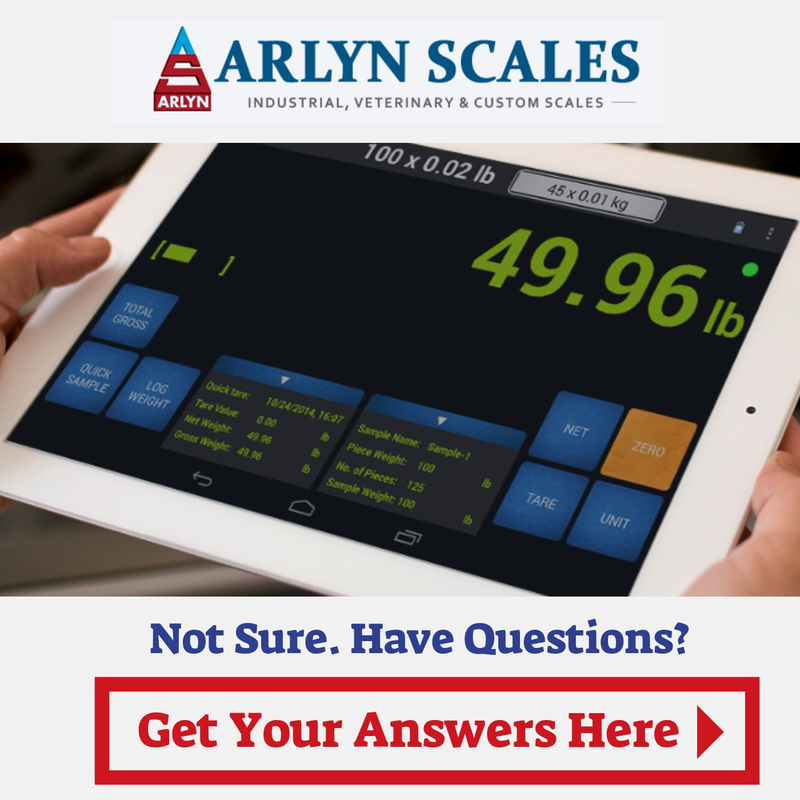 One way to ensure the accuracy of your drum scale is to purchase your drum scale from Arlyn Scales. Our scales are manufactured to precise standards and are guaranteed to provide you with the accurate measurements that you require, time and time again. 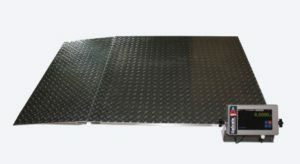 Our scales come complete with a shallow loading ramp to make loading and unloading a breeze, and can be customized so that they fit your exact requirements. We also offer upgrades such as touch screen digital indicators, flow-rate measurement programs, thermal printers and USB ports. We can help you chose specific configurations that will make your operations more efficient – and leave the rest to us. Manufacturing happens in-house, so any customizations will also be in-house in a very streamlined manner with direct communication. No middlemen means there is less time wasted, less chances of a miscommunication and decent pricing since there are no commissions. Here at Arlyn Scales we pride ourselves on being the very best in the business when it comes to the supply of industrial scales, including the very best in drum scales. We also have a team of expert advisors and customer support staff who know the types of businesses that use drum scales inside out. To speak to a member of our team, you can also use our online contact form that’s available on our website.